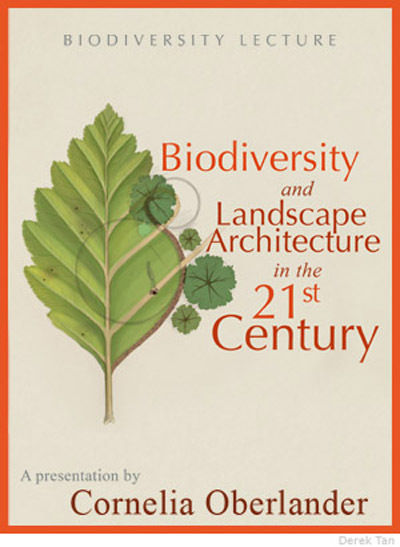 The environment is not the same to a landscape architect as it is to a biologist. Cornelia Oberlander, Canada’s premier landscape architect according to the Governor General, joins us to define what the environment means to her. Oberlander’s projects are the result of studies of the social, cultural, and physical features of a given site. Through examples of her work, Oberlander shows the strong fit of the built landscape and biodiversity within the larger environment. Over the past 60 years Cornelia Oberlander has collaborated as a landscape architect in a wide range of projects with internationally acclaimed architects such as Renzo Piano, Moshe Safdie, and the late Arthur Erickson. A leader in sustainability, Oberlander brings a mastery of the science and art of landscape architecture to all her projects and has received the Order of Canada for her work. This entry was posted on Thursday, November 11th, 2010 at 5:44 pm	and is filed under architecture, British Columbia, Canadian design, green, landscaping, urban planning, Vancouver. You can follow any responses to this entry through the RSS 2.0 feed. You can leave a response, or trackback from your own site.